The US Federal Reserve raised the benchmark interest rate from 1.75 to two percent on 13 June 2018 and signaled two more hikes to be on the way, implying a total of four increases this year. While the rate hike in June was widely within expectations, the quickening pace of rate increases still got on investors’ nerves. Bonds and high-yield instruments such as Real Estate Investment Trusts (REITs) took the biggest hit as FTSE ST Real Estate Investment Trusts Index registered a year-to-date decline of more than 9.4 percent to 774.83 as at 25 June 2018. 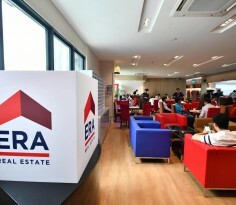 While looking at the list of locally listed REITs sorted in accordance to their yield, three out of the top five positions were occupied by industrial REITs with Soilbuild Business Space REIT (Soilbuild REIT) claiming the third place right behind Lippo Malls Indonesia Retail Trust and Viva Industrial Trust. With a FY17 distribution payout of $0.05712 and its closing price of $0.65 as at 25 June 2018, Soilbuild REIT’s historical yield of 8.8 percent makes it look very attractive as an income stock. 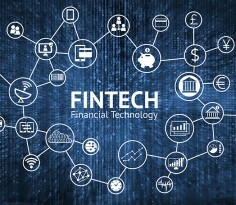 Nonetheless, we noticed three major concerns that could possibly affect its future distributions. 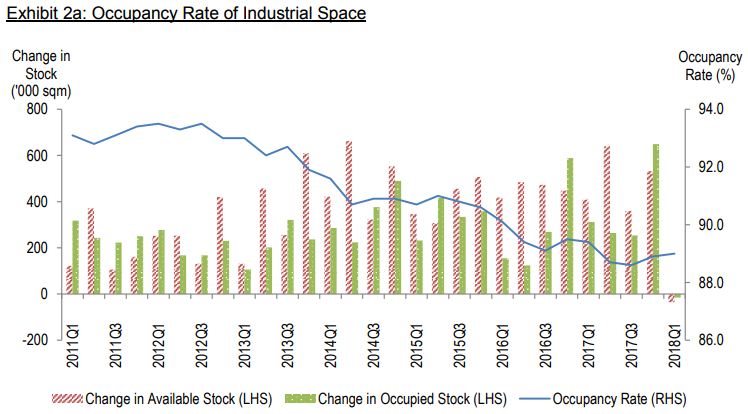 According to JTC’s quarterly market report on the Singapore industrial properties for 1Q18, occupancy rate for the overall industrial property market dipped marginally by 0.4 percentage points on a year-on-year (y-o-y) basis to 89 percent. 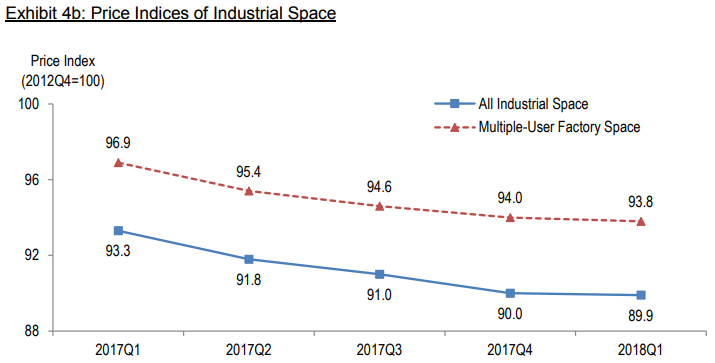 Correspondingly, rental and price indices of industrial space also fell by two percent and 3.6 percent respectively compared to the previous year. Looking forward, another 1.4 million square meters (sqm) of upcoming supply of industrial space is estimated to come on-stream in 2018. As a comparison, the average annual demand of industrial space in the past three years is only at around 1.2 million sqm. Hence, prospect of local industrial sector may continue to remain subdued in the near term. Meanwhile, business park space held ground with the overall occupancy rate as at 4Q17 improving 4.4 percentage points to 85.7 percent y-o-y underpinned by the continued lack of new supply in the market. 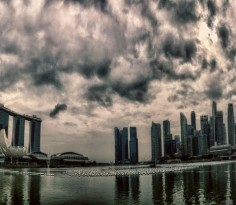 However, the median monthly gross rent dropped 4.7 percent to $4.09 per square feet. Soildbuild REIT boasted of two business park properties in its portfolio, namely Eightrium @ Changi Business Park and Solaris located at 1 Fusionopolis Walk. The group’s business parks together constitute 38.5 percent of its portfolio assets, and play a large part in supporting the overall revenue of its portfolio. However, there are indications of a slowdown of tenants relocating from commercial offices to business park spaces to save on rental. 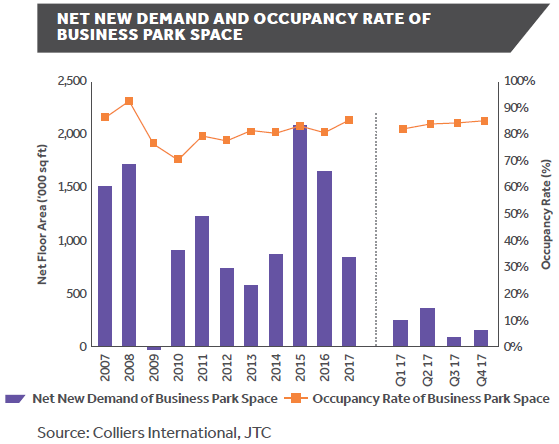 Net new demand of business park space was observed to be on a gradual decline in the last two years following a peak in 2015, and hence we suspect that the strength in rents of business park space seen from 2009 till 2013 may be starting to normalize. It all started in May 2016 when Soilbuild REIT sued its largest tenant, Technics Offshore Engineering, for a sum close to $2.2 million over the tenant’s default in payment of rent and other outstanding sums. 72 Loyang Way, the property in question, was acquired from Technics Oil and Gas through a sale-and-leaseback arrangement in 2015. 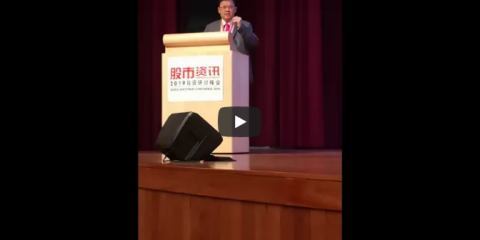 Subjected to JTC’s leasing conditions imposed on the property, Soilbuild REIT can only lease up to 30 percent of its gross floor area to non-marine offshore and oil and gas tenants. As at December 2017, Soilbuild REIT has only managed to achieve 27 percent occupancy for 72 Loyang Way and it continues to be a drag on the group’s revenue. NK Ingredients, also among one of Soilbuild REIT’s top ten tenants, was the next in line to go in arrears. As per Soilbuild REIT’s latest update announced in March 2018, the group has received the amounts billed as well as half the original security deposit with the remaining to be paid in tranches. Should NK Ingredients fail to top up the insurance guarantee due subsequently on later dates, Soilbuild REIT will likely face the risk of early termination of the lease. 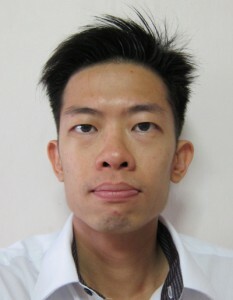 While disputes with NK Ingredients are still ongoing, KTL Offshore joined the queue of tenants defaulting on their rentals. Soilbuild REIT has since divested the KTL Offshore property to SB (Pioneer) Investment in February 2018 to reduce the group’s exposure to the marine offshore and oil and gas sectors, and the sale proceeds of $55 million will be channeled to paring down of debts. With the number of defaulting tenants surfacing one after another, the income visibility of Soilbuild REIT’s portfolio is indeed very worrying. Soilbuild REIT’s portfolio assets of two business park properties and nine industrial properties are all currently on leasehold with remaining leases varying from 20 years to 50 years. It is notable that properties under 30 years of remaining lease constituted 23.7 percent of the portfolio’s total gross floor area (GFA) which contributed 22.6 percent towards Soilbuild REIT’s FY17 gross revenue. The figures jumped drastically to 45.5 percent and 40.6 percent respectively if we were to consider properties that have less than 40 years of remaining lease. Meaning to say, if Soilbuild REIT’s portfolio were to remain as it is, close to two-fifths of its income sources could just disappear in another 40 years’ time.